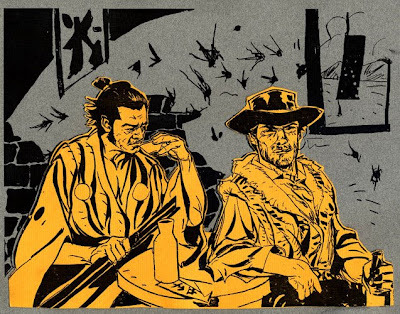 Toshiro Mifune and Clint Eastwood drinking together in a bullet ridden bar. Im far far to tired explain why. just google "Yojimbo" and Fist Full of Dollars.